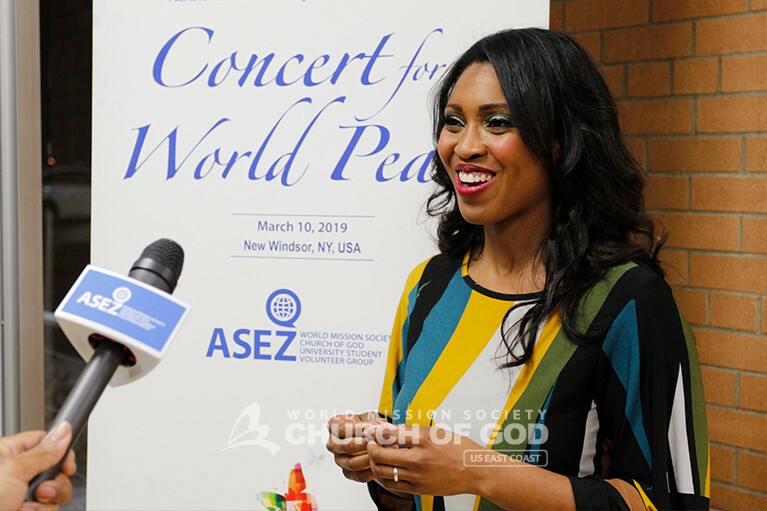 For the first time ever, ASEZ held a concert, titled Working Together for World Peace. 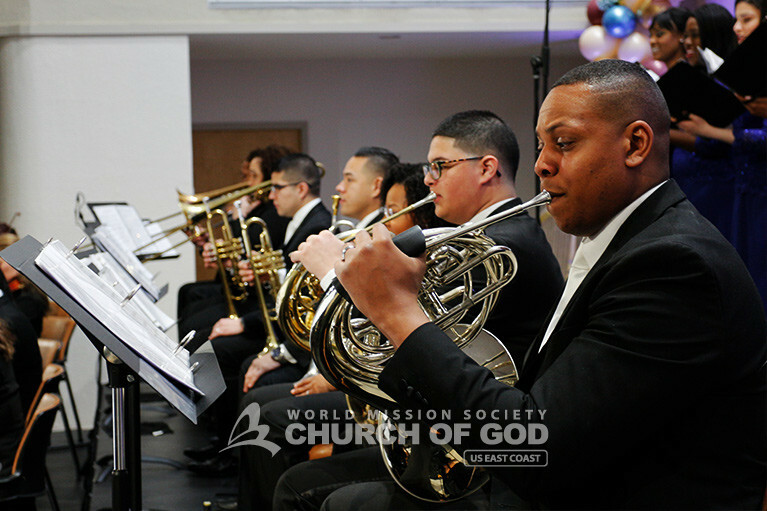 The concert took place at the World Mission Society Church of God in New Windsor, NY. In a world where opinions and values often clash, music has an uncanny ability to penetrate cultural barriers and unite otherwise unlikely acquaintances. 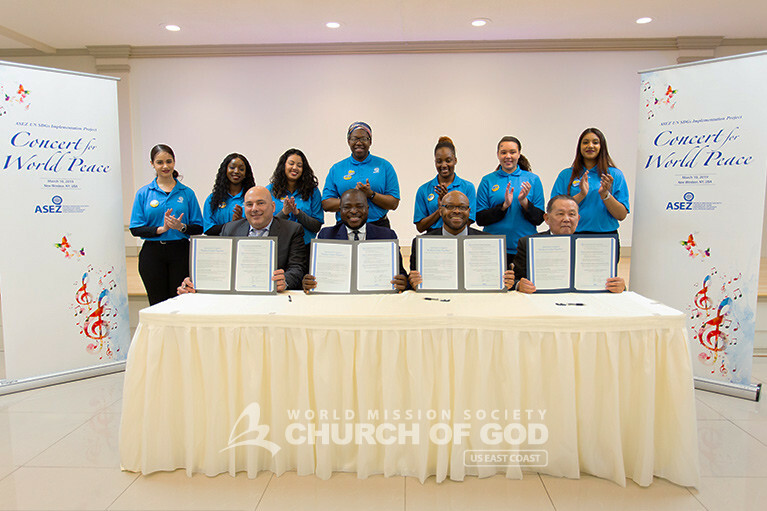 The World Mission Society Church of God and its university student volunteer group, ASEZ, are perfect examples of this. Over the course of its existence, the Church of God has spread to 175 countries around the world. 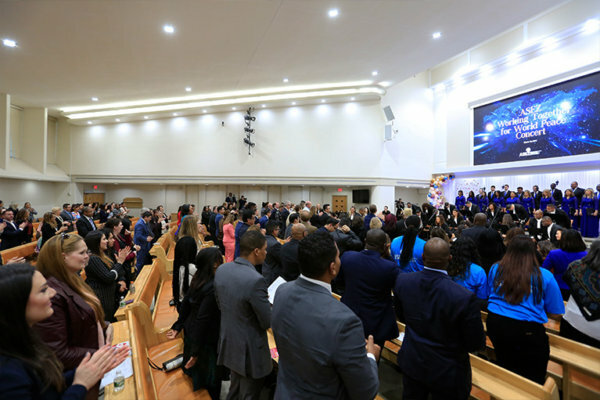 In the United States, the members of the church are as diverse as it gets, accounting for a number of different backgrounds. Now, ASEZ volunteers, who are just as diverse, are taking the lead in shaping a bright and hopeful tomorrow as the leaders of future generations. 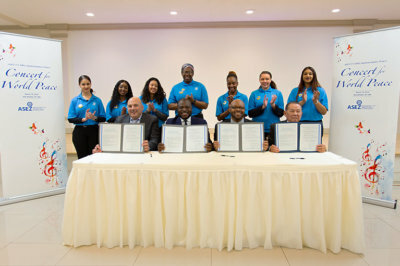 As ASEZ’s goals align very closely with those of the United Nations, the volunteers have taken the initiative to put the UN’s Sustainable Development Goals (SDGs) into action. For example, ASEZ’s “Reduce Crime Together” movement molds perfectly with SDG #16 of establishing “peace, justice and strong institutions.” With this serving as the main theme, ASEZ and the Church of God held Working Together for World Peace, bringing friends, family and community leaders together. 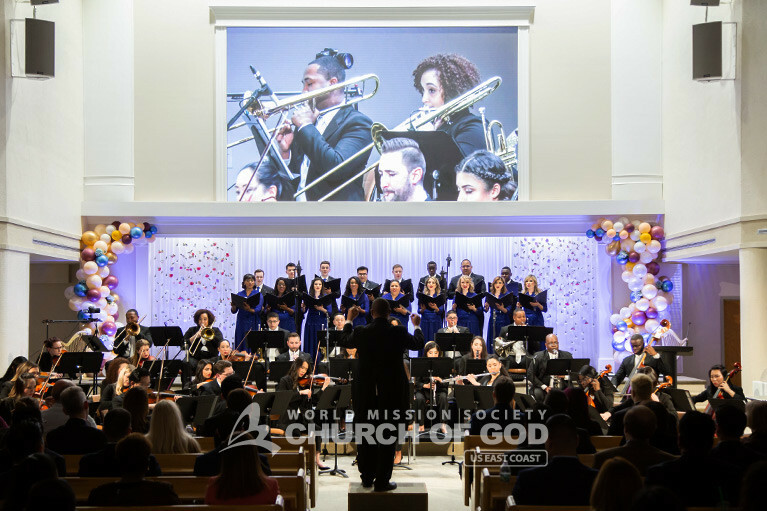 The audience enjoyed an array of spectacular performances by the New York Church of God Choir and Orchestra. 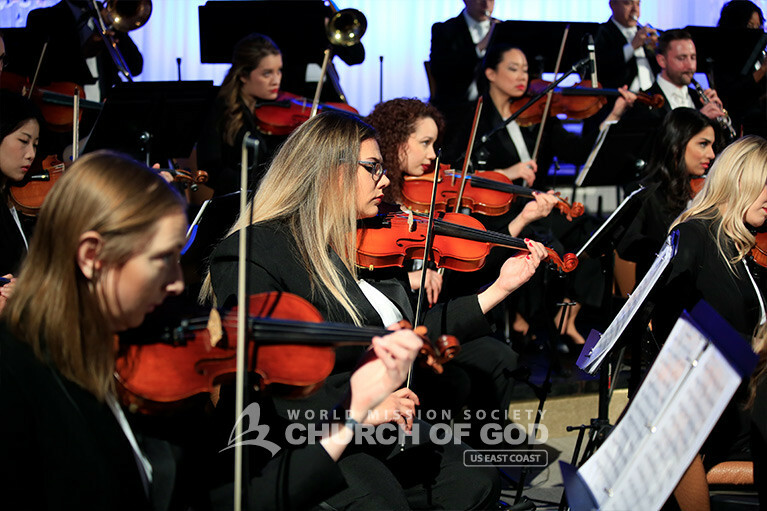 The musical pieces ranged from American, Christian anthems like “Amazing Grace” and “Since Christ My Soul from Sin Set Free” to popular movie soundtrack songs such as “When You Believe” from The Prince of Egypt and “A Million Dreams” from The Greatest Showman. 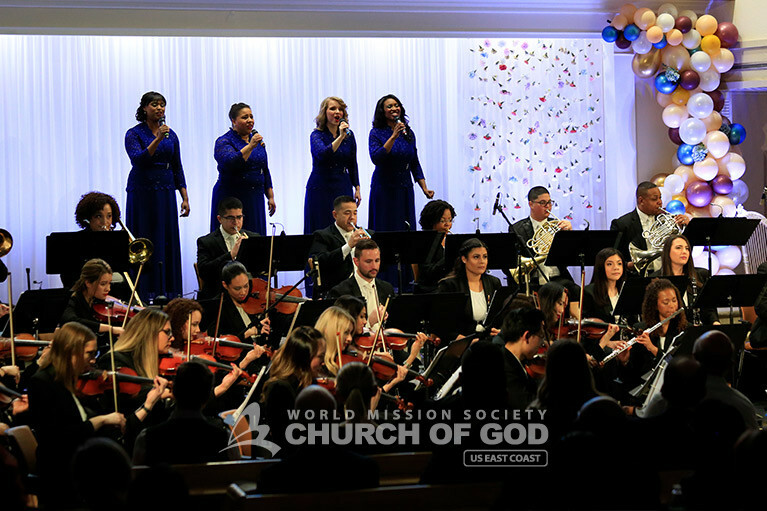 The choir and orchestra also performed original pieces composed and written by members of the World Mission Society Church of God. These songs included “O Eternal Eden” and “All You, Pass Through the Red Sea.” Consequently, all of the songs, despite being from different genres, had a single commonality—peace and love. 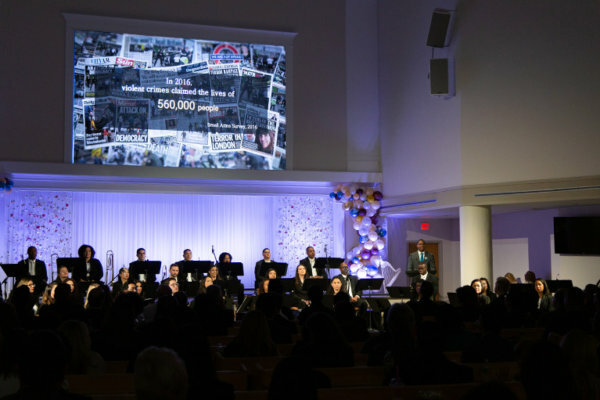 Following the intermission, audience members learned about ASEZ’s volunteer program through a presentation. 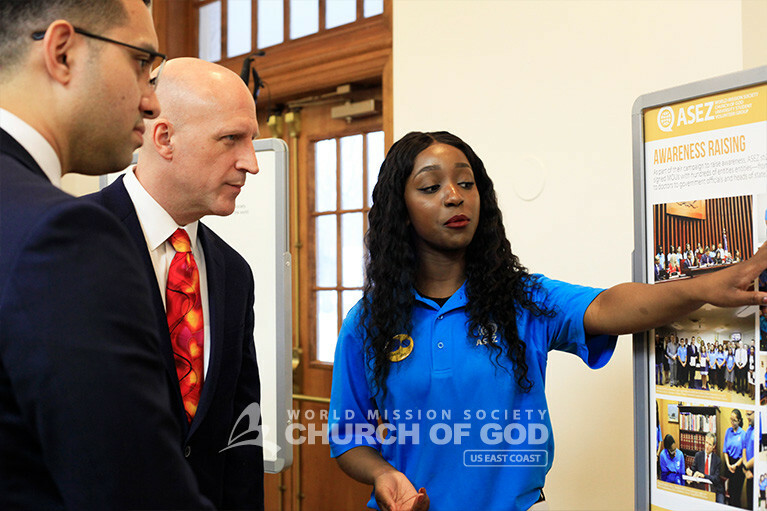 The presenter explained how cleaning and sprucing up communities where there are visible signs of crime can actually produce a reverse effect of reducing crime. 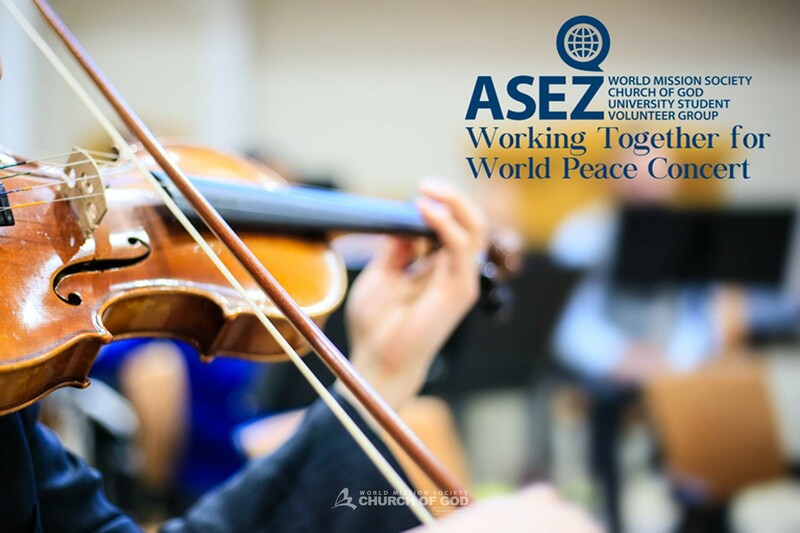 In this way, ASEZ student volunteers take care of their college campuses and nearby communities through organized cleanup campaigns. 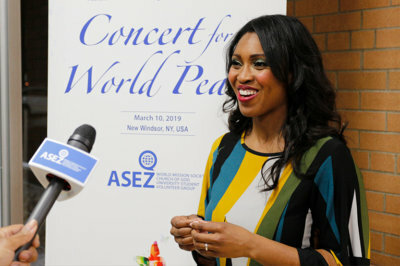 The presenter also explained the connection between peace and music. The audience watched a single video of sea creatures two times. 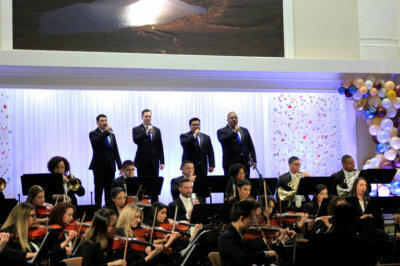 The first time they watched the video, it was accompanied by heart-pounding music reminiscent of Jaws. 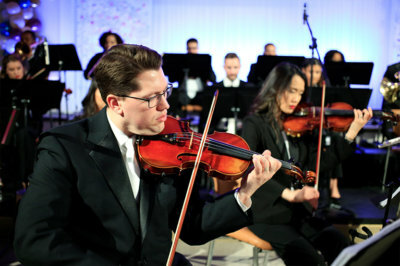 However, the second time around, the video was accompanied by relaxing, slow-paced music. Though they watched the same video twice, depending on the music, an entirely different scene and feeling emerged. Thus, music has the power to bring peace into our lives despite the circumstances around us. The night ended with a grand finale of a finish, as the choir and orchestra performed the Church of God’s very own piece, “Our Mother Saves the World.” The song was followed by a roar of an applause and a standing ovation. 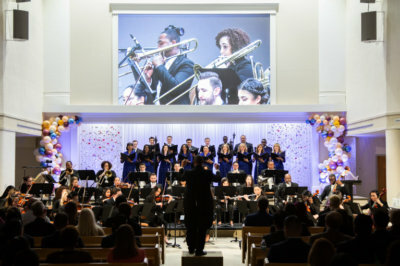 Guests commented on the concert saying that it was “some of the best music I’ve ever heard” or “I didn’t see an orchestra, I saw love.” Concert attendees included professors, teachers, government officials, CEOs, professional musicians, and family and friends. 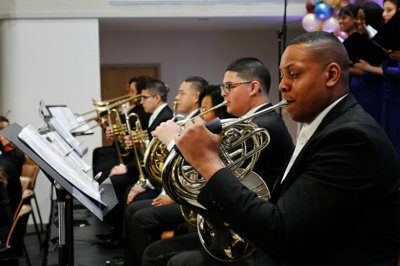 Afterwards, the attendees were invited for a reception in the church fellowship to enjoy refreshments. 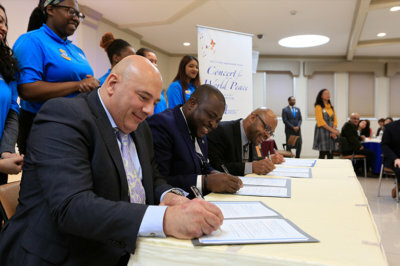 Additionally, during the reception, a number of prominent guests signed ASEZ MOUs in support of the student volunteers’ activities. 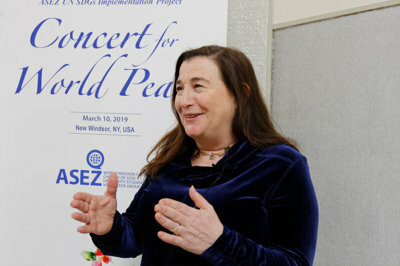 Those who pledged their support for ASEZ included Jana Herzen, CEO of Motema Music as well as an artist and musician; Patrick Bandanaa, CEO & President of African Youth Justice; George Monteverdi, Engineer at Unitex Textiles; Marion McClary, PhD, Professor of Biology at Farleigh Dickinson University; Long Feng Chen, PhD, Secretary of New Century Institute; Dimitri Tomboris, CEO & President of Commerce Electrical Contracting Corporation; and Charnett Moffet, a composer and recording artist. To see activities carried out by ASEZ, visit wmscog.com/asez or contact us to learn how to volunteer with ASEZ or the Church of God. 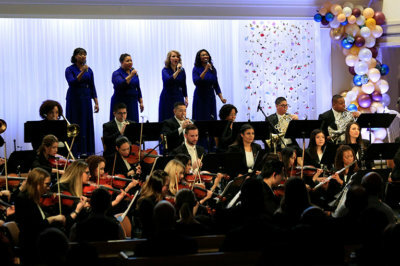 This is a very touching concert! It is so good to see diversity, peace, and unity in one place. 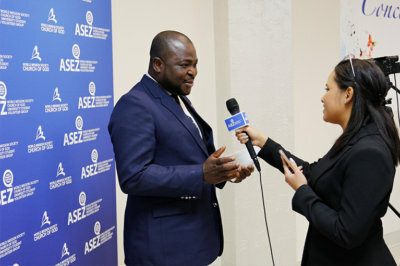 Thank you for the pledges to take action ASEZ.